Birds On The Edge would like to recognise the hard work and commitment of the star farmers that have made our Farmland Scheme possible. 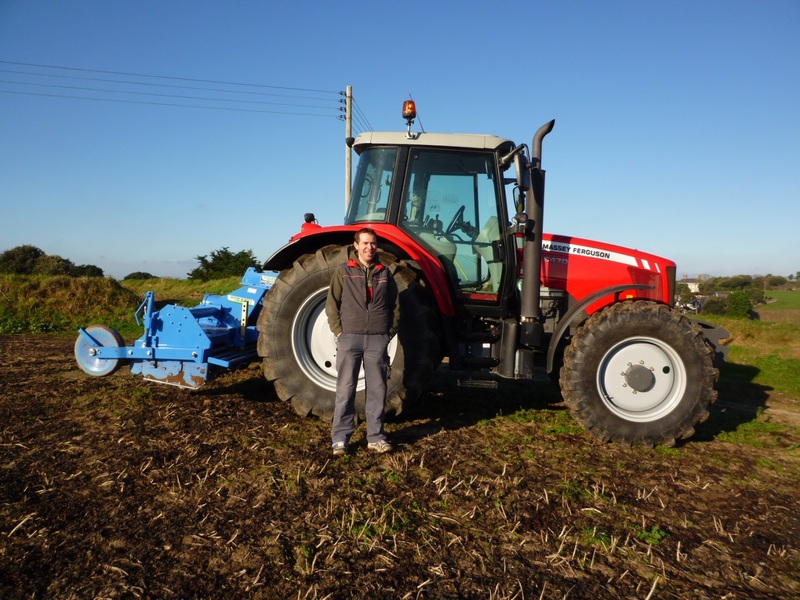 They not only joined the scheme with enthusiasm and have sowed the conservation crops on their fields after harvesting the potatoes, but they have also looked after them for the benefit of Jersey’s threatened wildlife. Without our champion farmers none of this would have been possible, so here’s a big THANK YOU to them. Show your support and encouragement for their efforts in safeguarding our farmland birds by buying local produce whenever you can! This feature is included as a permanent page on the website here and will be updated. 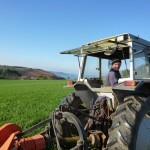 Steve comes from a family that has been farming in Jersey for five generations, since the late 19th century. 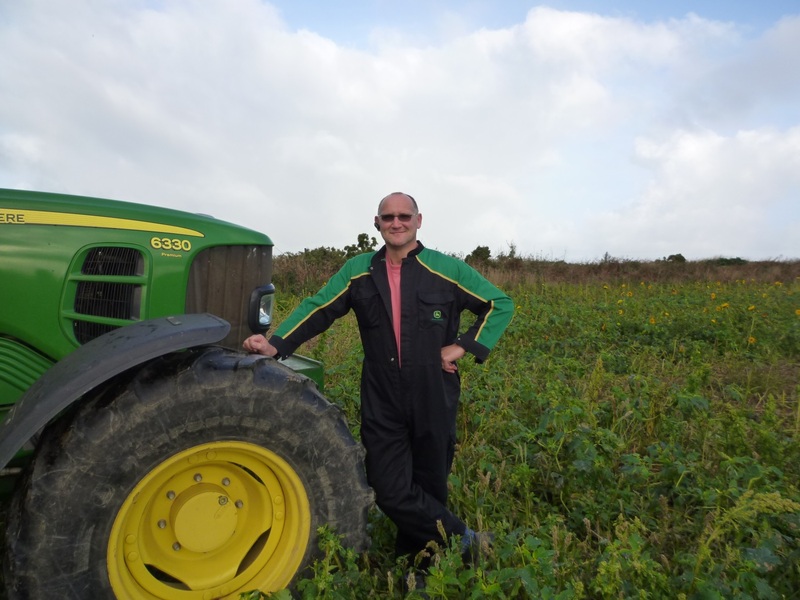 He started working for companies such as the Jersey Royal Company and partnered up with other farmers until he took over his family’s farm in St Lawrence a couple of years ago. 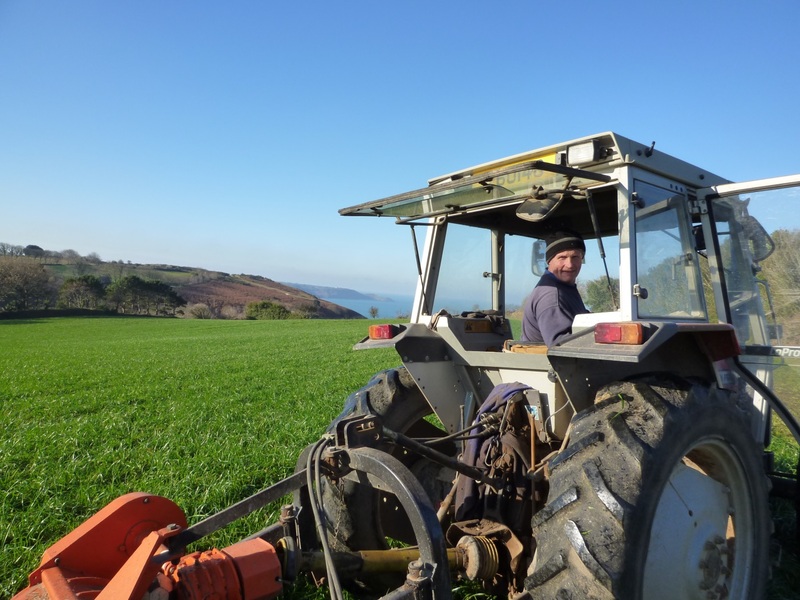 Steve has been running the farm with his father ever since and looks after the land of a various of landowners across the north and west of Jersey, mainly producing Jersey Royals for Albert Bartlett. 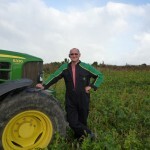 Colin’s farm and land on the north coast has been in his mother’s side of the family for over 70 years. Colin’s childhood memories are of his brother and himself jumping off the bus from school and going straight to the fields to pick potatoes and, later as a teenager, to drive the tractor around collecting bales of hay. 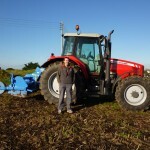 Colin is an independent potato producer and sells his crops directly to local and UK markets. 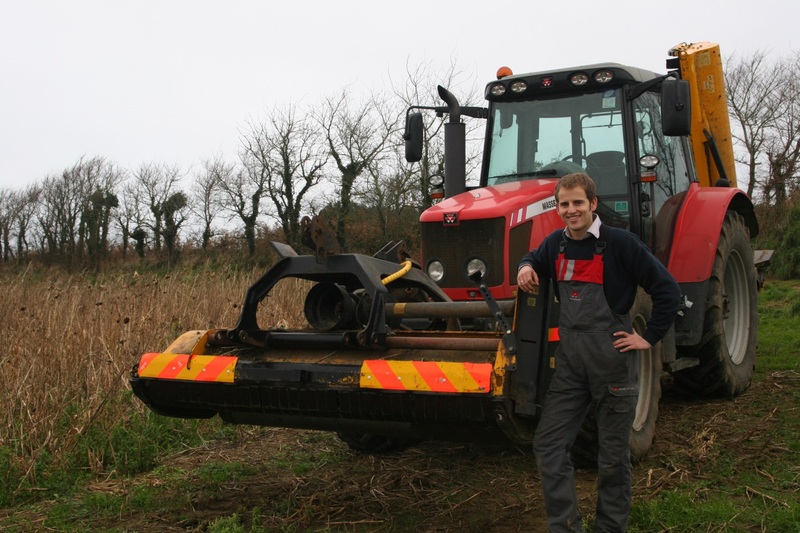 Alexander works alongside his father Doug on the many enterprises of their farm in St Ouen. Through their company they produce and sell a variety of eco-friendly fuels and pellet stoves to keep the cold away. They are an independent producer of Jersey Royals and sell their crop to Albert Bartlett. For more information on their produce check out their website at FarmFuels. Ian ‘Toots’ Le Brun has been with the Jersey Royal Company since it was created in 2002. At that time he had been working for four years for Fairview Farms, which became one of the five founder members of the JRC. His present role at JRC involves securing the land base and making sure that the landlords and ladies wishes, if they have any, are executed. He also looks after the 2nd crop programme which again needs to fill the requirements of all parties concerned. 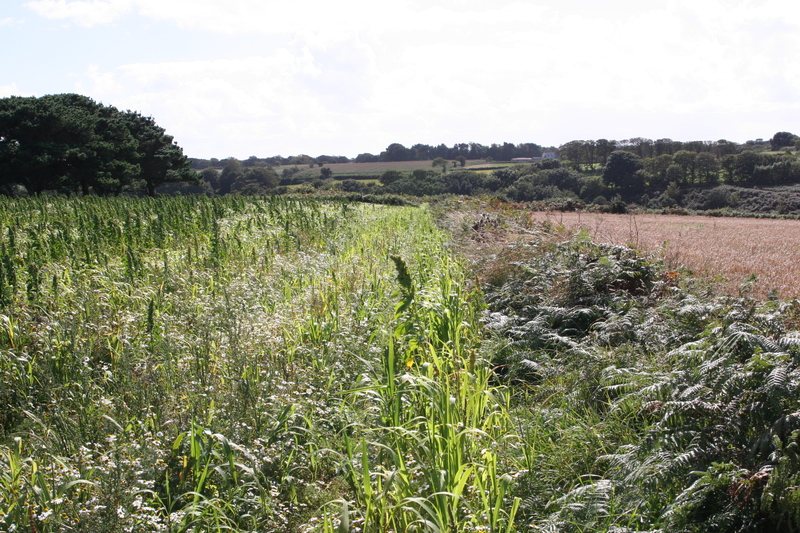 The JRC has been using bird conservation crops under the advice of an independent consultant for over 10 years now in areas such as La Rocque, Victoria Tower, La Hougue Bie and Sorel, providing food for birds in winter across the Island. 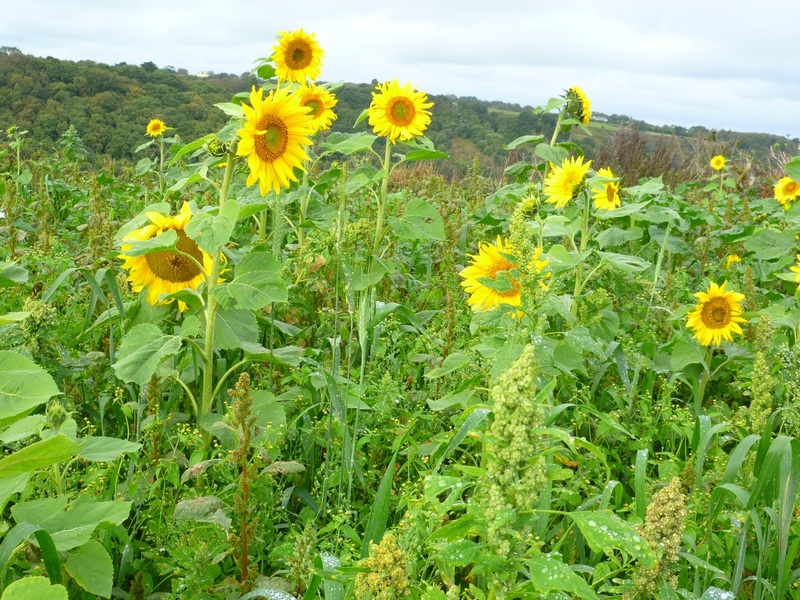 Their experience with the conservation crops has been invaluable to Birds On The Edge and by joining this scheme it has allowed them to expand the land that is put towards conservation crops. Read more about their work here. 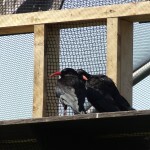 Three new choughs arrived in Jersey last week thanks to our friends at Paradise Park. 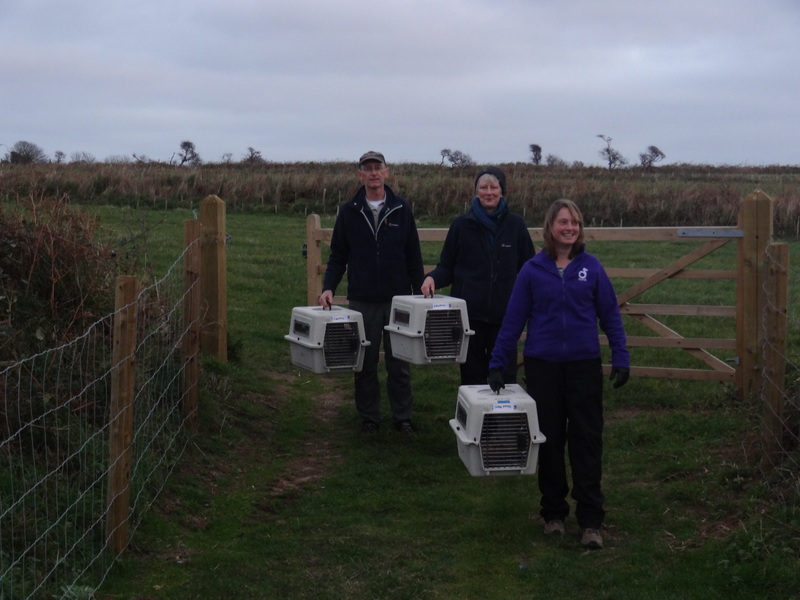 On arrival they went straight to Durrell’s Vet Department for routine health screening then on to Sorel. They are now undertaking a thirty-day quarantine period before being allowed out. These new recruits are two chicks from this year and an older male juvenile. Having more males in the group will hopefully boost breeding opportunities in the forthcoming years. They have certainly settled in well, coming down for food and going straight on the weighing scales. The ‘older’ residents have also warmed to them although due to the quarantine restrictions they are separated at present. The new recruits have been given colour rings and uniquely coded transponders. At a later date they will be fitted with radio transmitters to follow their movements in the wild. 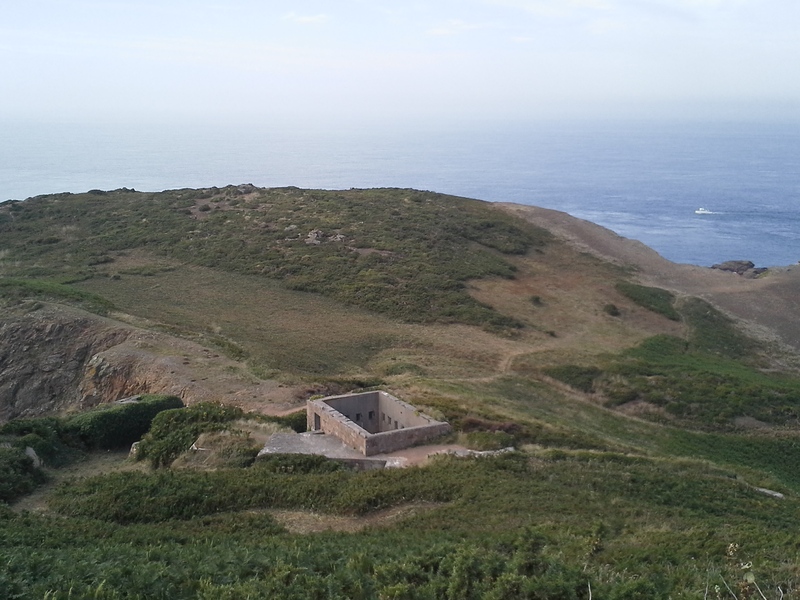 The arrival of the new choughs coincides with the decision to postpone releases until the New Year. When the weather starts to improve and daylight hours increase we will look to continue. By that time the quarantine period should have ended and the two groups mixed, trained, and ready to take to the skies once again. November was a relatively quiet month regarding chough activity. Green was mixed back with the females on the first of the month. Considering the amount of squabbling the females had been doing whilst he was locked away the mixing was very uneventful. He immediately reunited with Mauve, the birds preening each other to make the point. The rest just carried on with their day to day business. After several days of being mixed it was clear to see that the bond between Green and Mauve was as strong as ever. He was feeding fine and everyone was responding well to the whistle training. It took a while, however, for the birds to get over their fear of being caught up again. Despite the group looking ready to be released again the weather conditions were certainly not looking good. Strong gale-force winds kept the choughs hunkered down seeking shelter. Even flying from one end of the aviary to the other proved challenging. Often the choughs would just ‘go with the flow’ and glide sideways through the hatches to a safe landing spot. 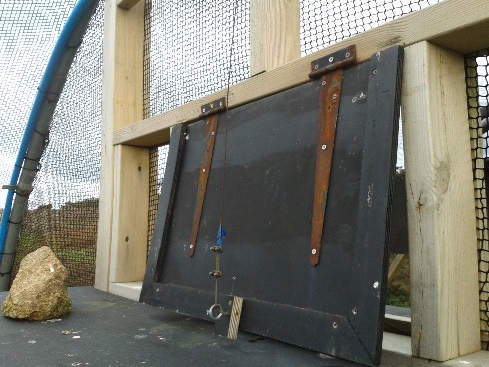 Weighing the birds became near impossible with the scales moving and birds struggling to brace the wind. Long-range forecasts suggest the weather is only going to get worse. Taking this into consideration along with the birds being locked in for so long the decision has been made to keep them in over the winter now. With the birds locked in we took the opportunity to carry out some essential maintenance on the aviary as well as a few improvements. The major issue with any temporary structure on coastland is weather erosion. A few of the hatch hinges and associated wiring system had rusted despite oiling. 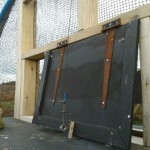 The hinges were replaced, with the help of volunteer Neil Singleton, and the wires replaced with PVC coated wire (i.e. washing line!). 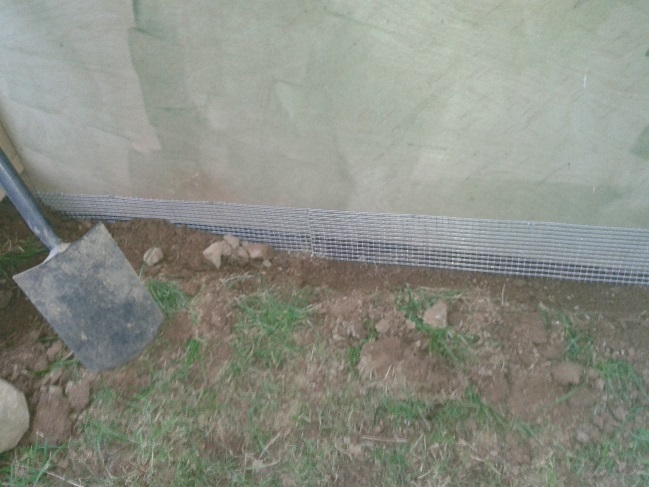 Both keeper doors needed mouse-proofing using half-inch galvanised mesh sunk into the ground. 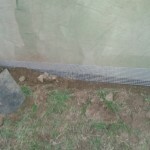 The perimeter of the aviary has sunken mesh around but the inch mesh covering the doors provides an easy access inside for small rodents. The food waste bin proving an obvious appeal to the fieldmice now that winter supplies are becoming scarce. 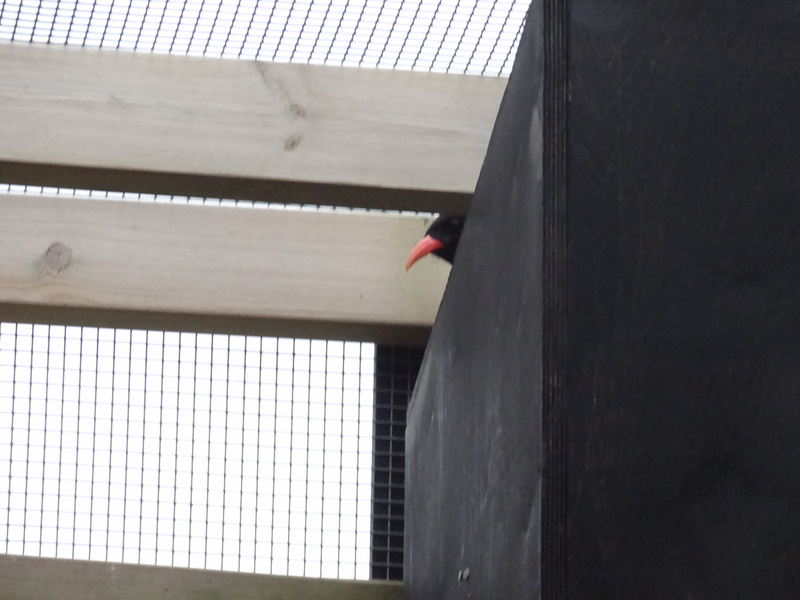 Extra shelter boxes have been added to the aviary to try and create a more appealing roosting environment for the choughs. Ideally, as was originally planned, the roof of the shed area would be covered. However, concerns over wind damage to the overall structure or panelling blowing off injuring the public has meant a compromise needed to be sorted. 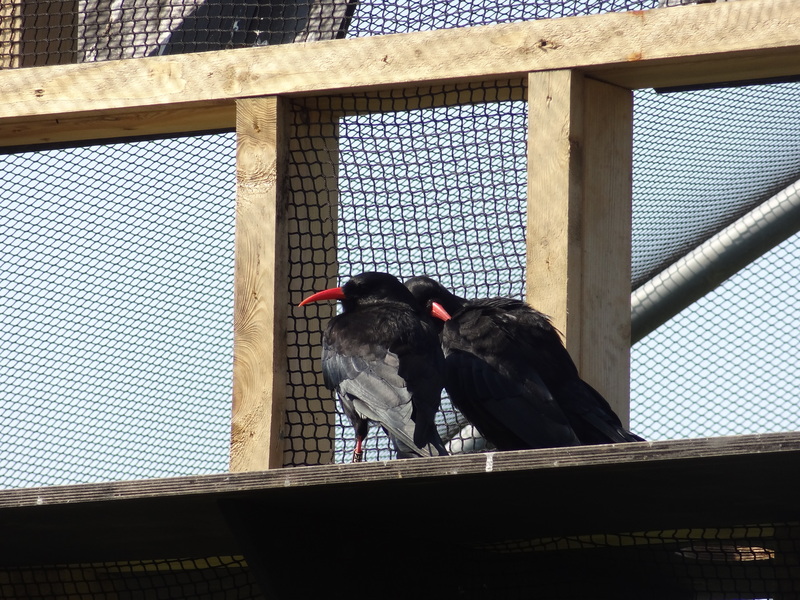 There is still some work needed to be done to improve the aviaries appeal but, for now, it more than adequately provides shelter for a bird like the chough from the wind and rain. In early September, Birds On The Edge reported on Jersey’s Back to Work scheme. 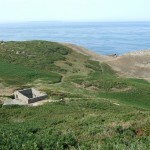 Since the middle of August, the Social Security Department and Department of the Environment have been trialing this scheme to help unemployed people in Jersey to gain skills and experience to gain permanent employment while carrying out dedicated projects in order to enhance Jersey’s biodiversity. 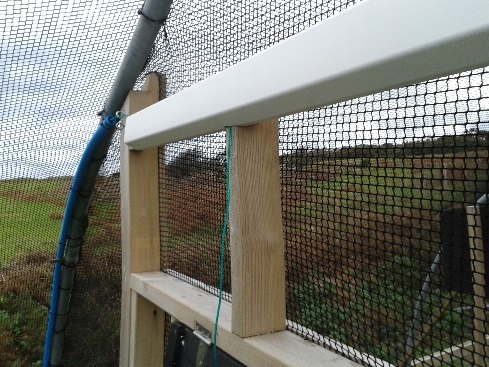 This has tied in nicely with the Birds On The Edge project and has enabled the scheme to tackle tasks which directly benefit the aims of the project. Groups of 16 unemployed locals have been given necessary training and guided by Ecoscape, a local contractor with a wealth of environmental experience and know-how, tackling tasks which improve our local environment over six-week periods. To date over 45 candidates have joined the scheme, which will continue into the New Year. 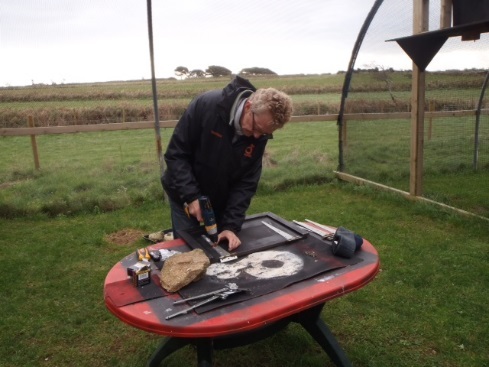 Birds On The Edge has provided the groups with a variety of tasks to complete, all over the Island, which help to improve the participants skill set and work ethic, and at the same time have a large impact on the work and aims of the project. 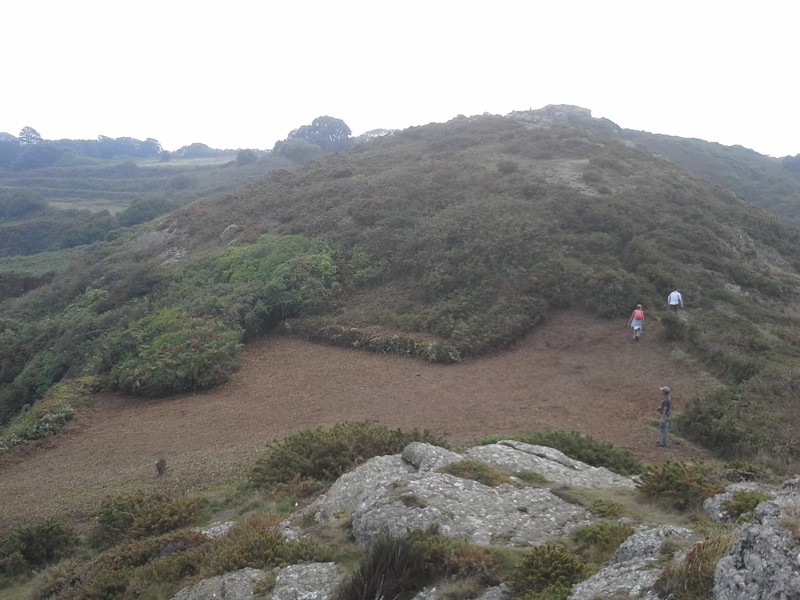 One of the first projects targeted was at Petit Plémont, where the group cut and cleared a large amount of bracken and bramble mixed-scrub to encourage the re-colonisation of heathland associated vegetation. 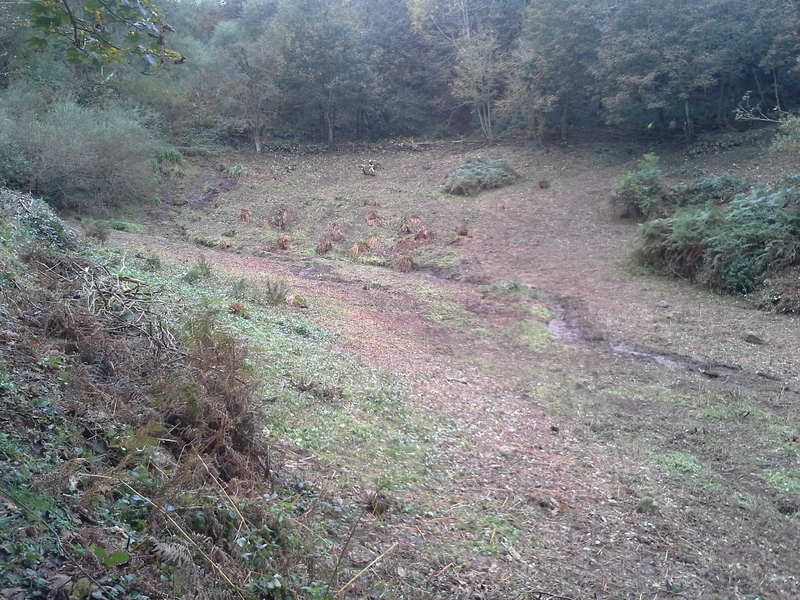 A total of 3,050m² (1.7 vergées or 0.75 acres) of bracken was cleared and removed from site. Following the success of the first task the scheme continued to tackle more north coast bracken scrub, this time at White Rock. 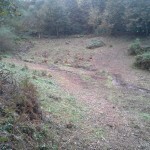 On this site there was a large area of bracken and bramble dominated scrub which again was cut and cleared to allow regeneration. The second group of workers from the Back to Work scheme continued where the last group left off, showing enthusiasm and interest for the aims of the project. 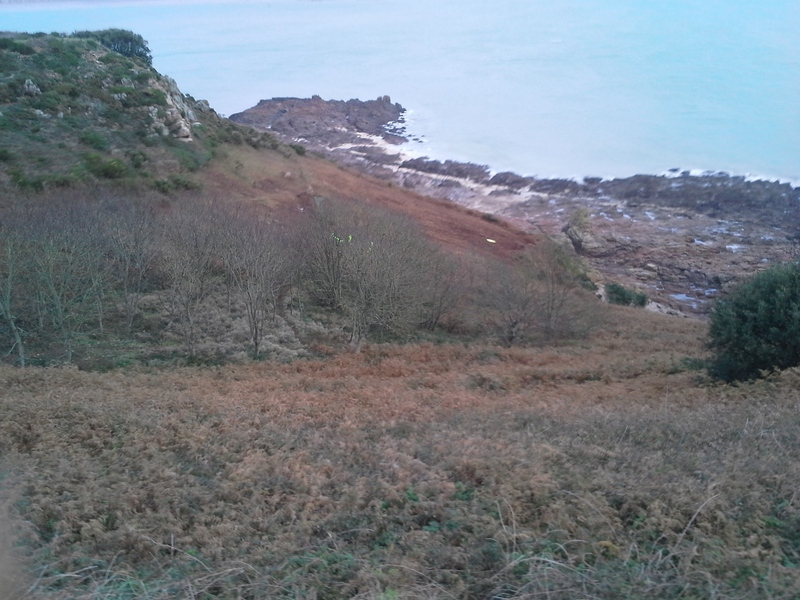 They started by continuing the work at White Rock clearing remaining bramble and bracken and also clearing an amount of the invasive holm oak. A mosaic of areas has been cleared to date totalling 5,000m² (2.8 vergées or 1.3 acres). This second group then headed down to Egypt where the meadow was very overgrown. 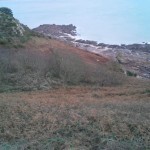 This large, recently neglected, meadow, which measures 9,300m² (5.17 vergées or 2.3 acres), was cut and cleared of the overgrown bracken, leaving only small islands of bracken to provide some shelter to the wildlife in the area. The tree canopy alongside the meadow was cut and raised to allow natural light through to encourage growth. 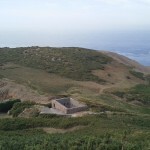 This group also set out to tackle tasks on the south coast, particularly at Noirmont Common Site of Special Ecological Interest. Here the groups set about clearing Hottentot fig which had taken over large areas of the headland. 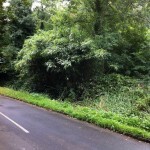 3500m² (1.9 vergées or 0.86 acres) of bracken and ivy were also cut back and raked. Large piles of raked mulch were then removed so that any native plants growing in the area were not suffocated and had a chance to grow back. 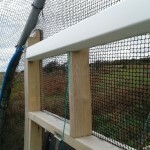 With the change and evolution in agricultural practises leaving Jersey’s coastal habitat under-managed and resulting in an ecological decline in their condition it is with great excitement that the Back to Work Scheme can be targeted to achieve the aims of the Birds On The Edge project. The work which has been carried out by the Scheme will continue to tackle the coastal restoration tasks and also go some way to help to promote public awareness of the importance of these coastal restoration projects. The final task of the year is almost upon us so come and burn off some of those Christmas calories in advance of the festivities! Dawsons Garden, Vallee de Vaux, St Helier. Coppicing hazel is an ancient woodland management system, which not only benefits wildlife but creates a saleable product. The stems of the hazel are cut back to the ground and bundled together for firewood. The light that then can get through to the woodland floor encourages wildflowers and other woodland species to grow, which in turn benefits the mammal, insect and bird residents by providing food and shelter. Bamboo, originally from Asia and was brought to Jersey as a garden plant. As these are vigorous and invasive plants, they can soon become too big for gardens; they can escape into neighbouring sites where they start to push out the smaller, weaker, native species. 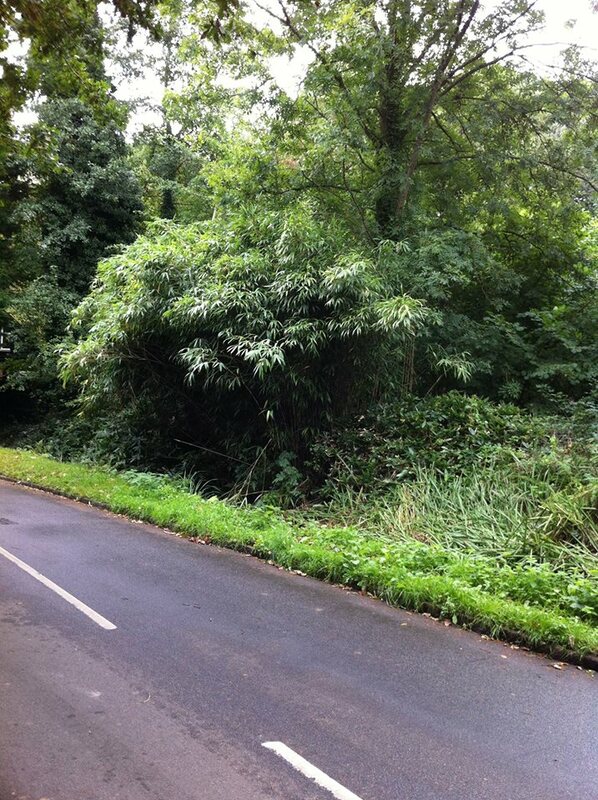 We would like to remove the large bamboo clump that is growing on the Dawsons Garden site, and allow the surrounding vegetation to recolonise the area. As always, we will supply some tools, but you are welcome to bring your own if you have them. Cutting tools such as pruning saws, secateurs and loppers will all be useful. Good thick gloves (though again we will supply a pair if you don’t have them), please wear wellies or study boots, it is a woodland site so may be rough underfoot and common sense clothes to cope with the elements. Children are welcome to attend this task as long as they are directly supervised by a parent or guardian. Refreshments will, of course, be provided, once we’re finished. You may remember announcement of our trial scheme to help farmland birds through the winter when it was launched last spring with the help of two private sponsors. 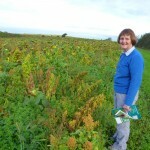 Local farmers were supplied with a bird conservation seed mix to be planted into potato fields. 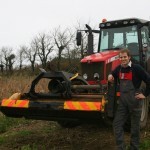 The crops, similar to those used in the conservation fields that the National Trust for Jersey has at Le Don Hodges, near Sorel, were planted in clusters of fields across the north coast, after the Jersey Royals had been harvested. 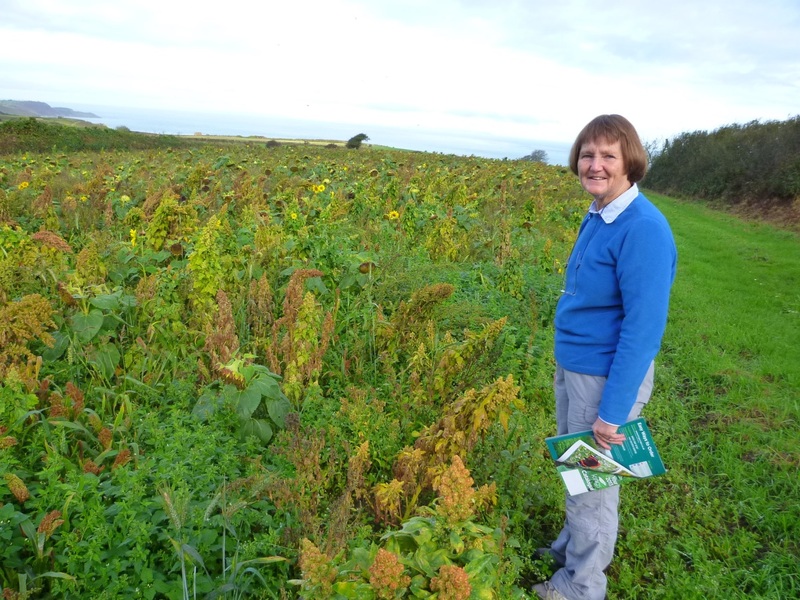 Many local farmers and landowners kindly agreed to try these crops for a few months, so that they would provide our farmland birds with a source of food during the coldest months of the year. As soon as the crops were planted we started monitoring their growth every fortnight and documenting their development. 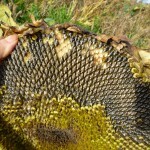 These conservation crops are composed of a rich variety of plants, especially chosen to produce large amounts of protein and fat-rich seeds, such as buckwheat, mustard, quinoa, chicory, sunflower, millet, gold-of-pleasure, triticale, spring wheat and phacelia, which is very good for insects too. 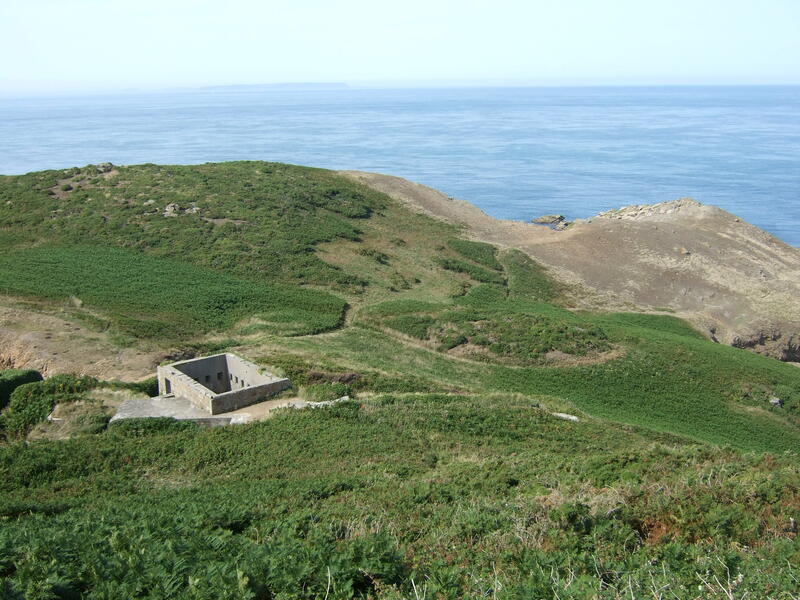 Such has been the success of some of these conservation fields that members of the Botany Section of the Societé Jersiaise have expressed their interest in the crops and shared her extensive knowledge on each plant’s history in Jersey and it’s importance for the ecosystem. Some species in particular, such as gold-of-pleasure Camelina sativa or wheat, have all but disappeared from our landscape over the last few decades and it is exciting to find them again amongst our fields. 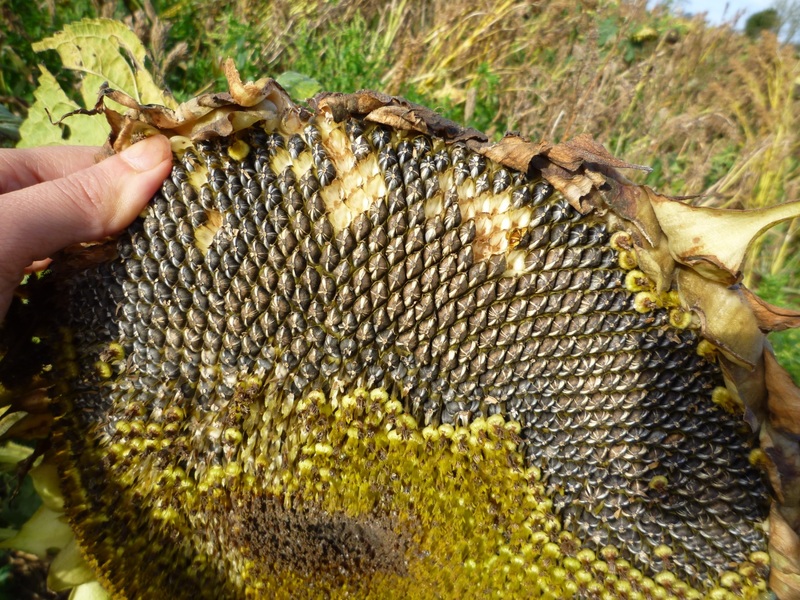 Sadly, the varieties planted are commercial ones, produced and chosen for their value to the birds during winter, and are not likely to self-spread or go wild anytime soon, at least not before the fields are ploughed at the end of the winter to make way for next year’s crop of Jersey Royals.